If you’re a job seeker, you’ve probably been contacted by or come across fake recruiter scams before. Scammers will often find your information on job boards or LinkedIn. When you’re looking for IT jobs, you don’t have to be vulnerable to these scammers, though. Here are 3 tips for how to weed out fake IT staffing companies from the scammers. 2. Think twice if they ask you to pay for background checks, drug testing, or CORI’s. Most reputable IT recruiting firms will never ask you to pay for these. It’s a cost of doing business for the IT recruiting firm. Fake recruiters will often ask you to pay for these tests as a way to steal your money. There usually isn’t a real job or background check—just somebody making money off of your vulnerability as a job seeker. 3. Don’t trust a job offer that comes too easily. Especially in tech, it’s important to hire people with the right skills and experience. This means that you’ll rarely land a job without at least doing a phone interview and in-person interview. If IT recruiting agencies contact you with a job offer and no need to do any interviewing to be hired, that’s a huge red flag. An employer needs to do more than simply glance at your resume or LinkedIn profile to determine what your technical skills are like. Real IT jobs require real technical interviews. If IT staffing companies say you don’t need to do any, they’re probably scamming you. 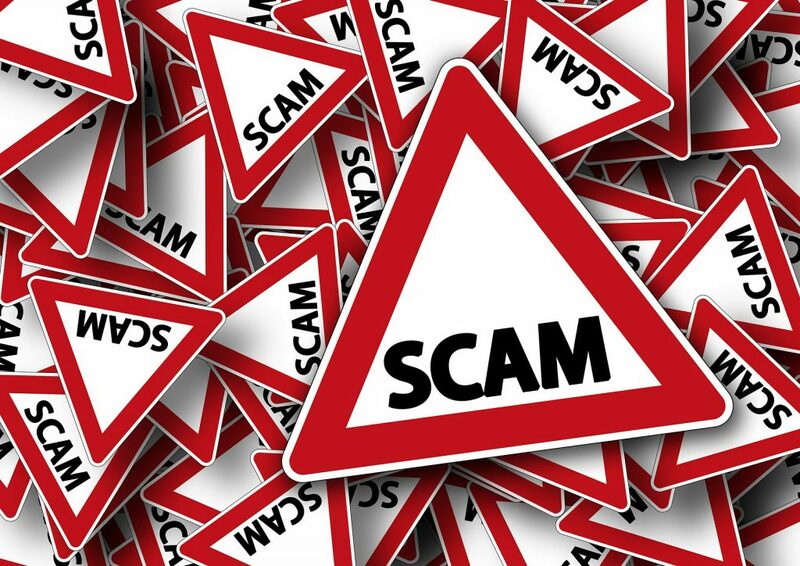 Don’t miss the warning signs of a recruiter scam! Photo credit: Geralt via Pixabay. This entry was posted on Wednesday, January 18th, 2017 at 2:32 pm and is filed under Who is AVID? . You can follow any responses to this entry through the RSS 2.0 feed. Responses are currently closed, but you can trackback from your own site.